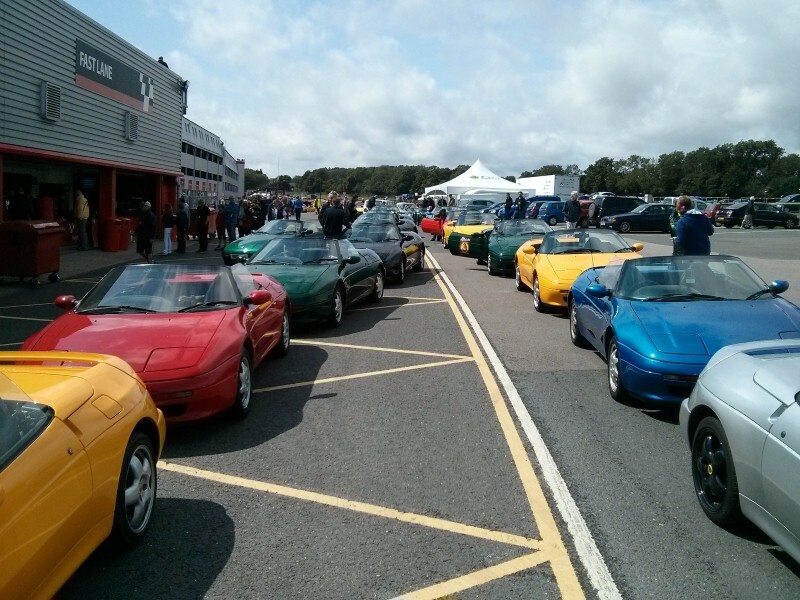 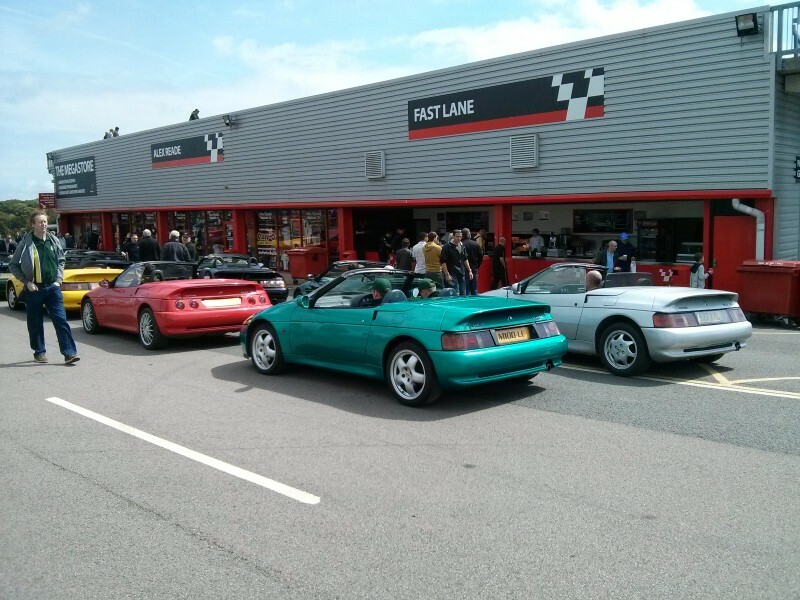 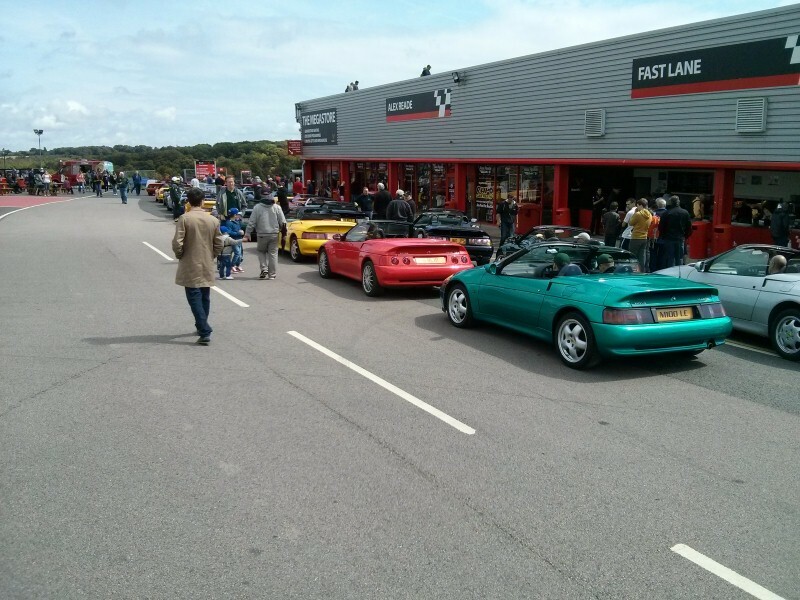 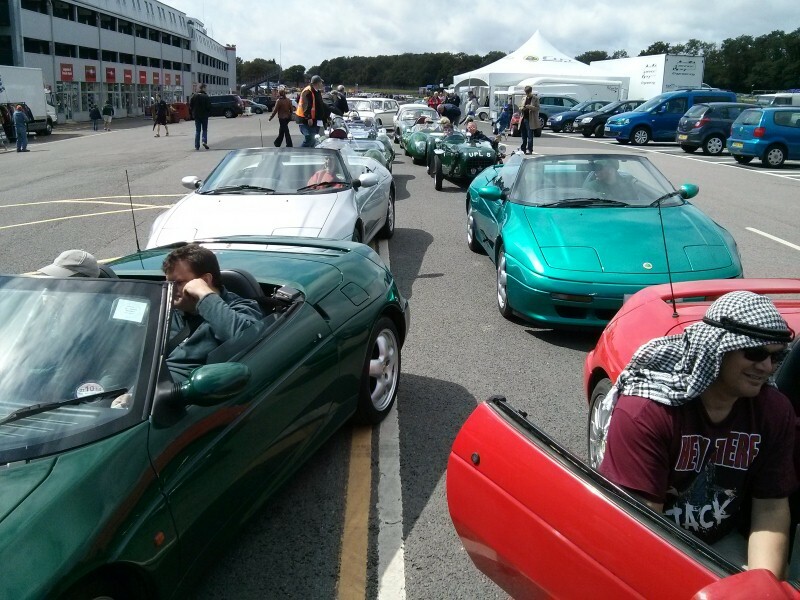 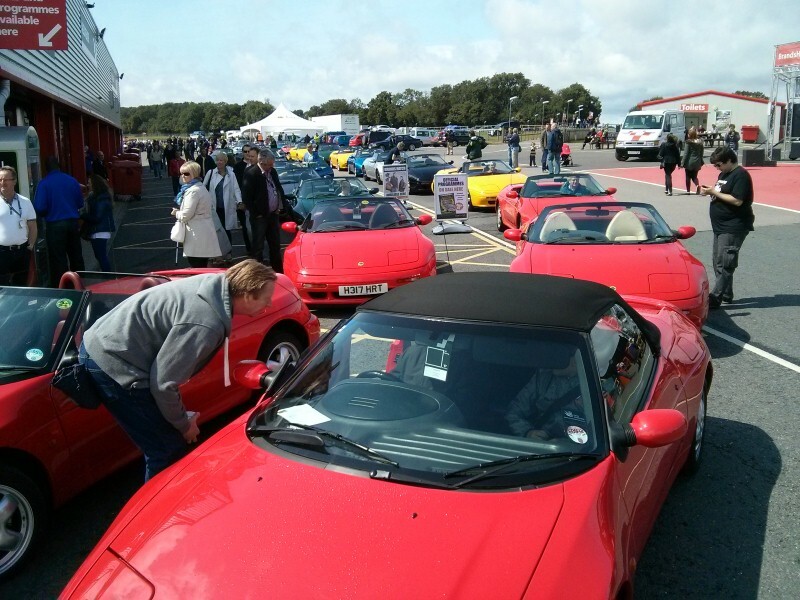 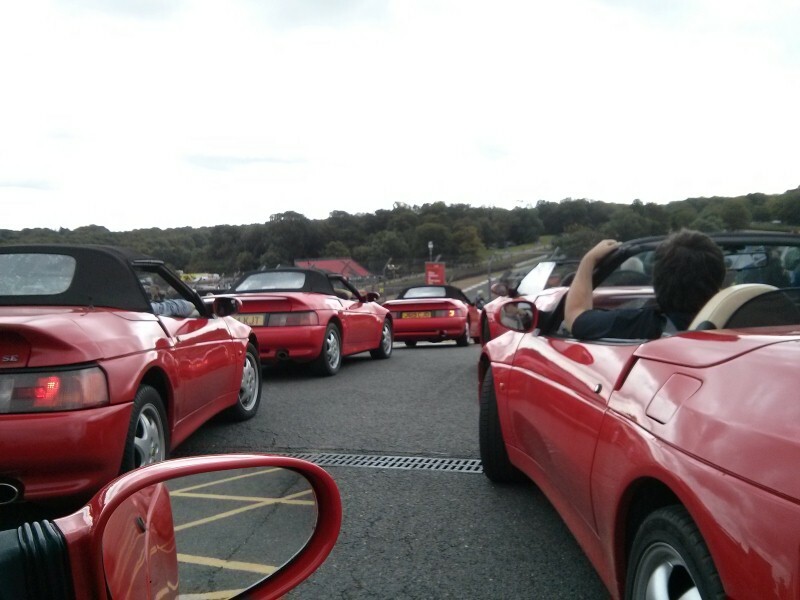 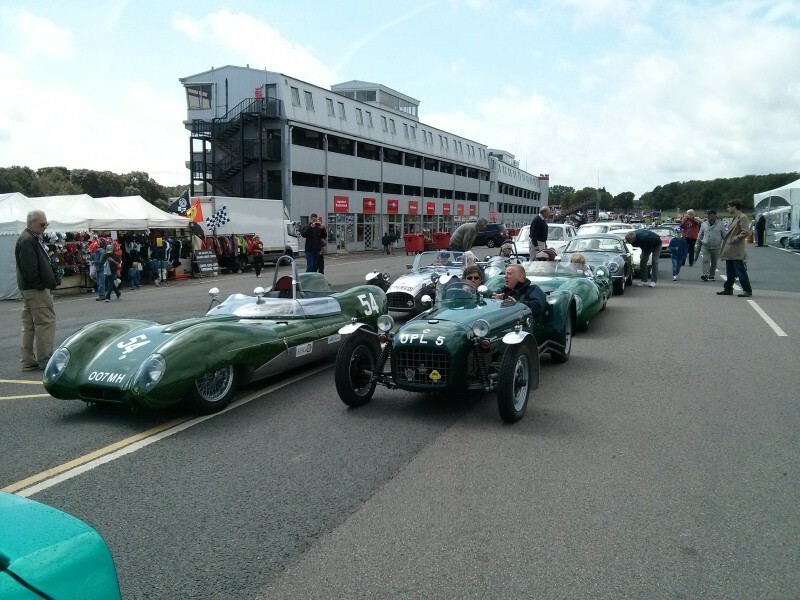 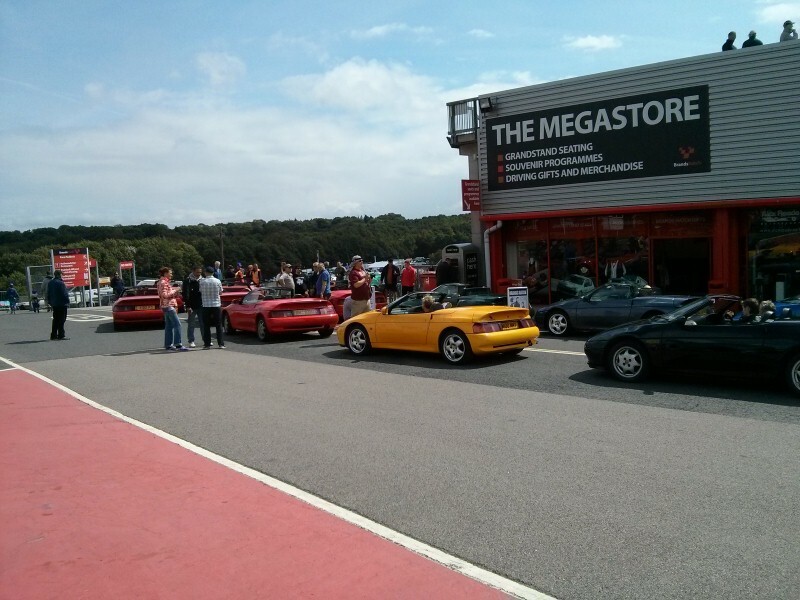 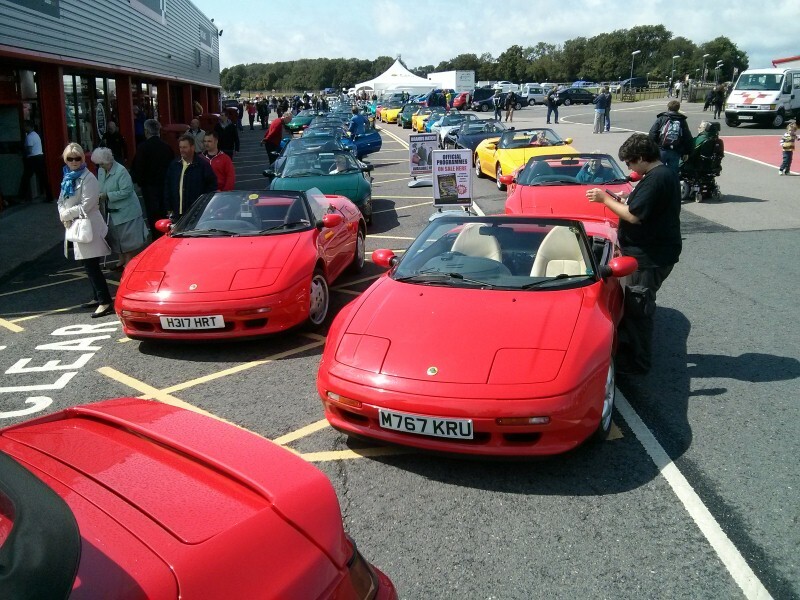 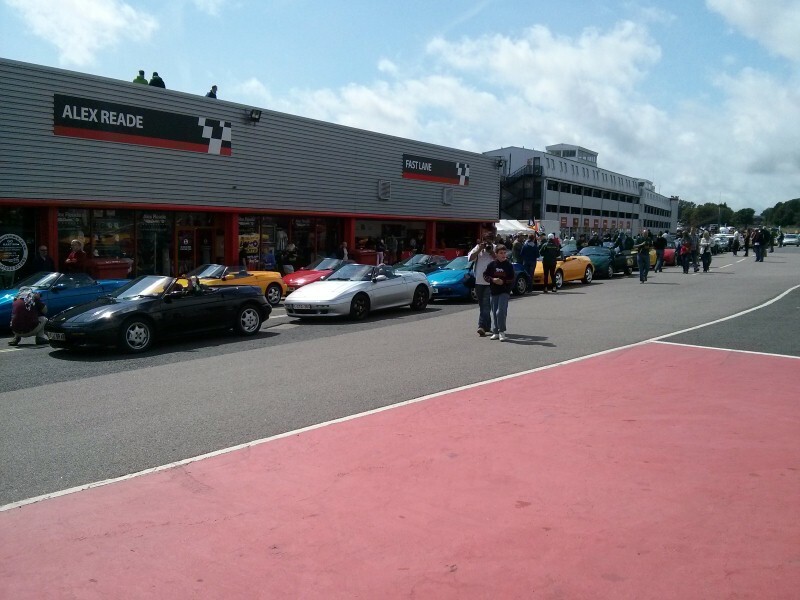 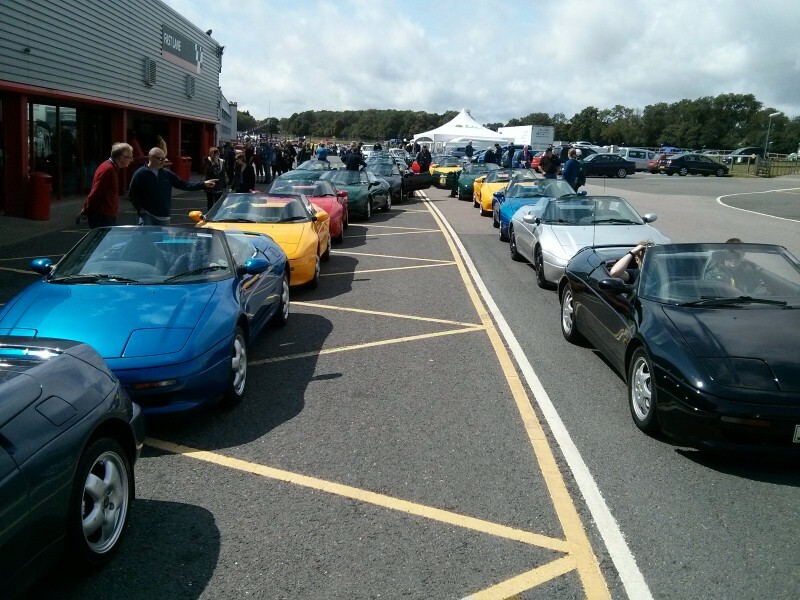 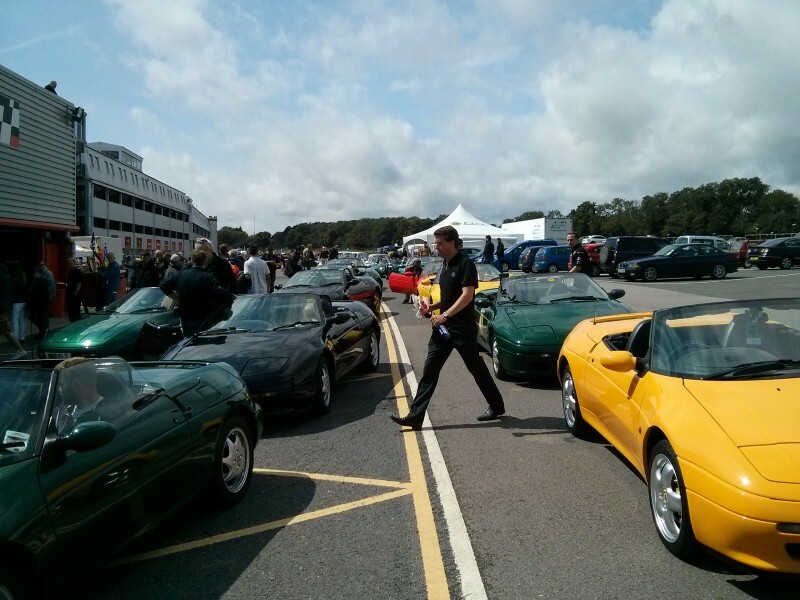 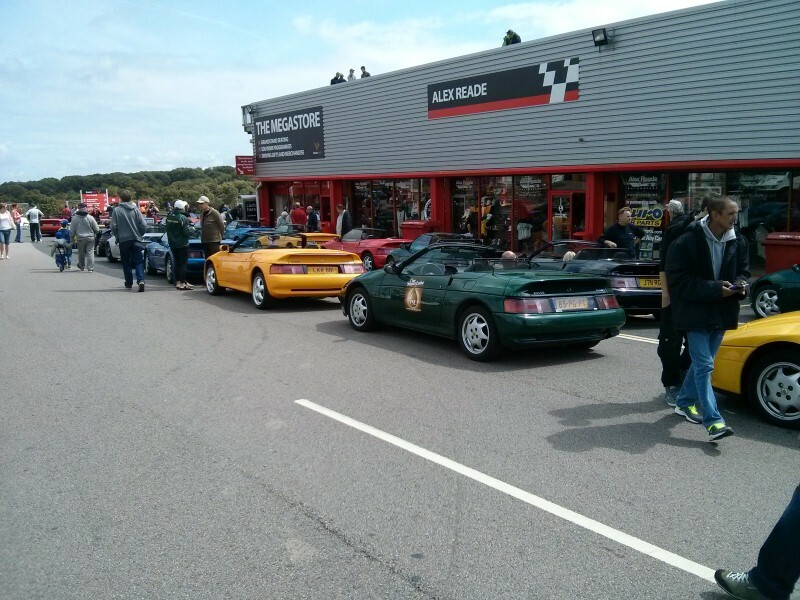 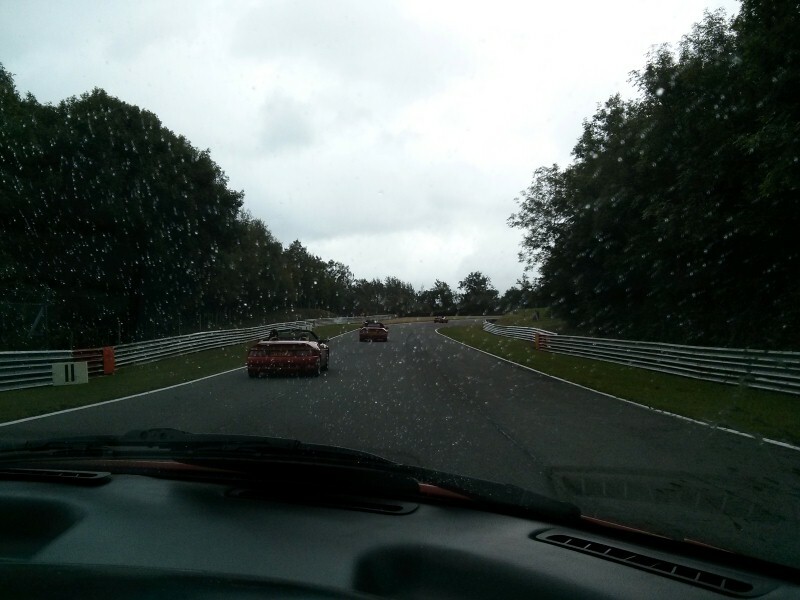 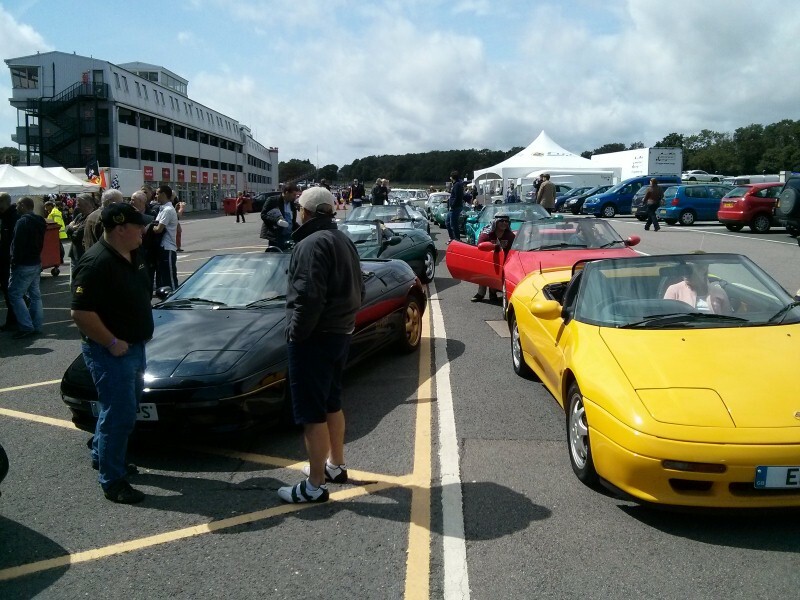 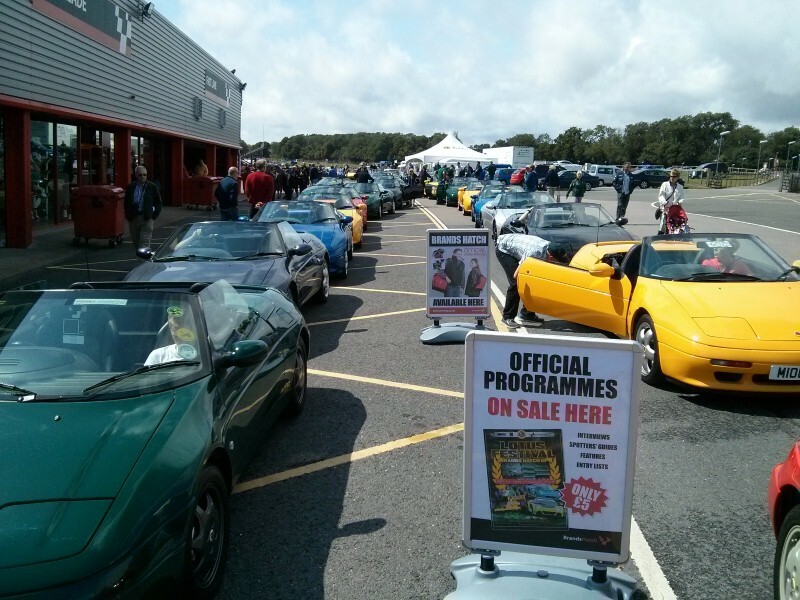 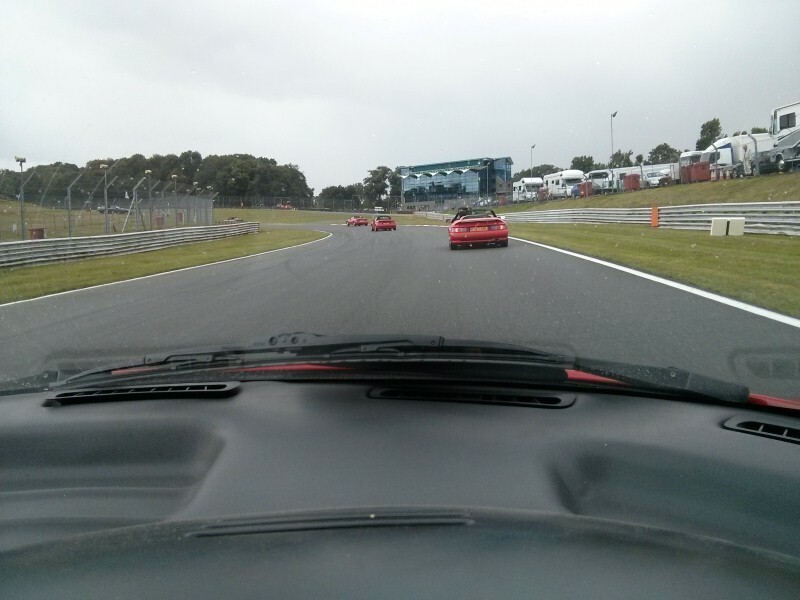 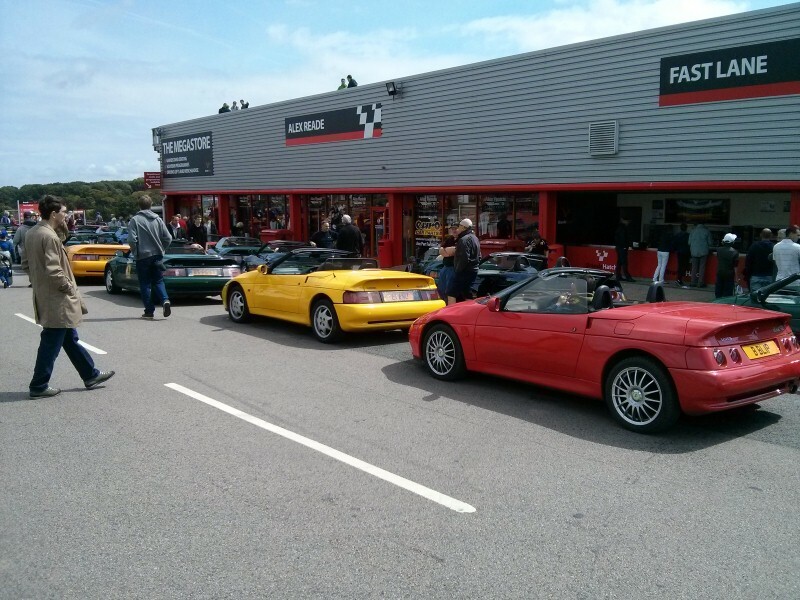 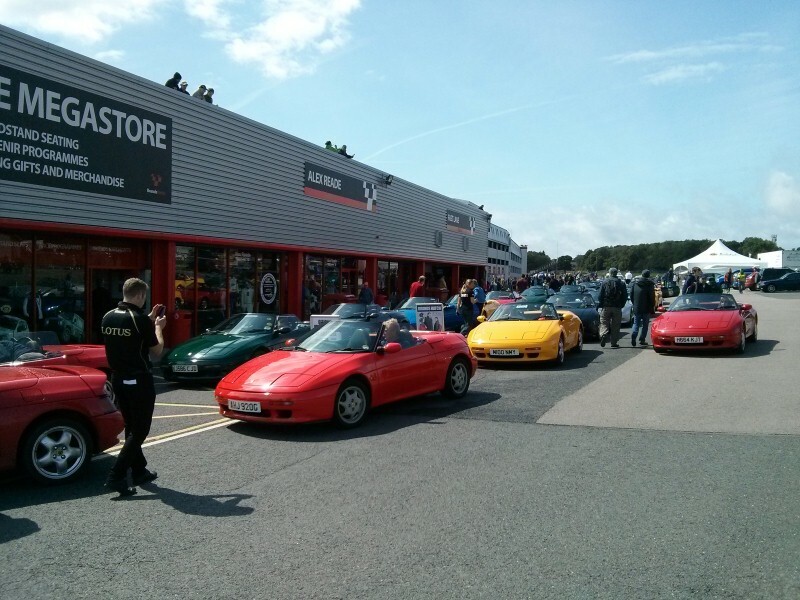 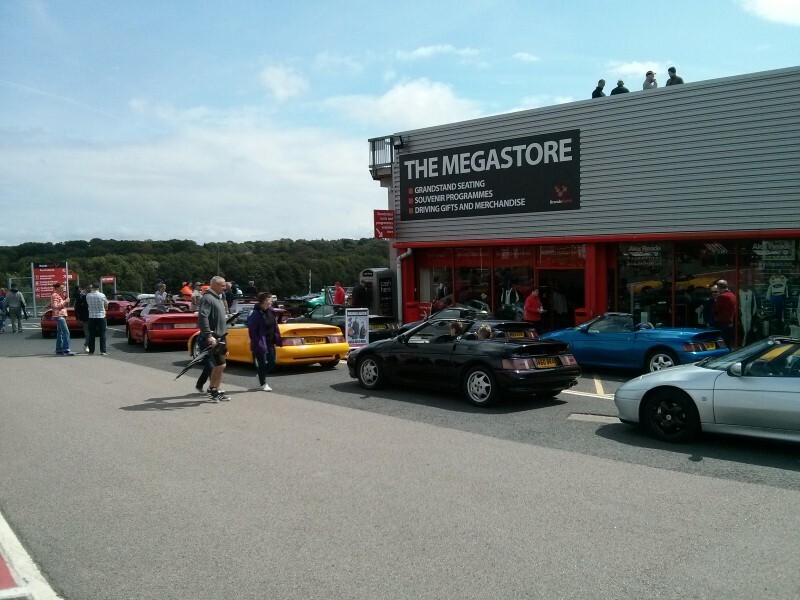 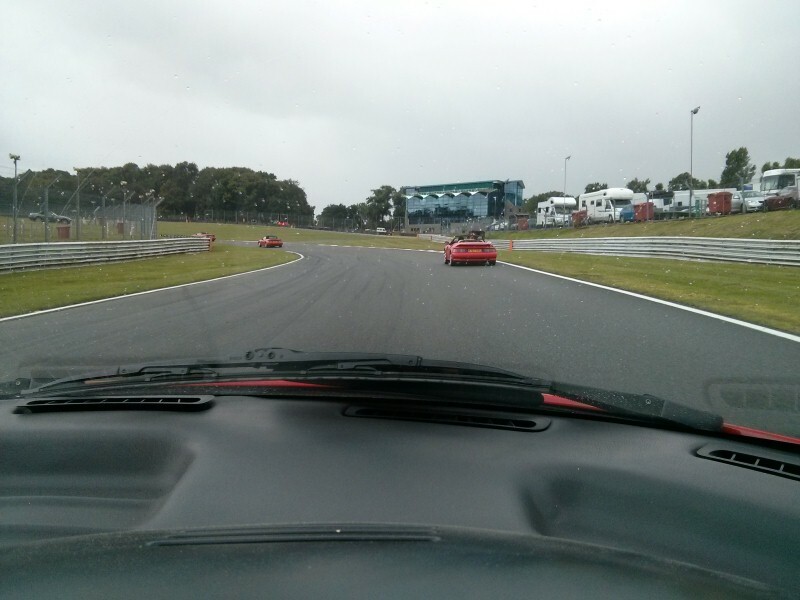 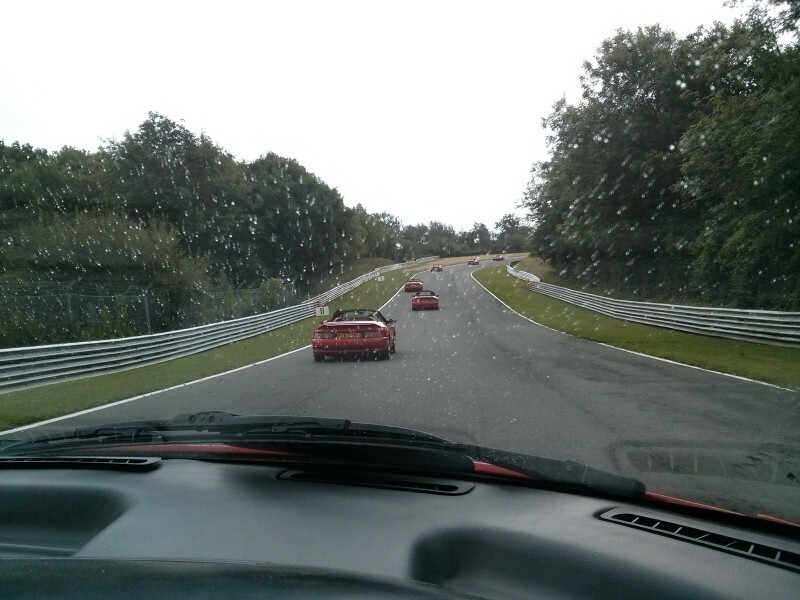 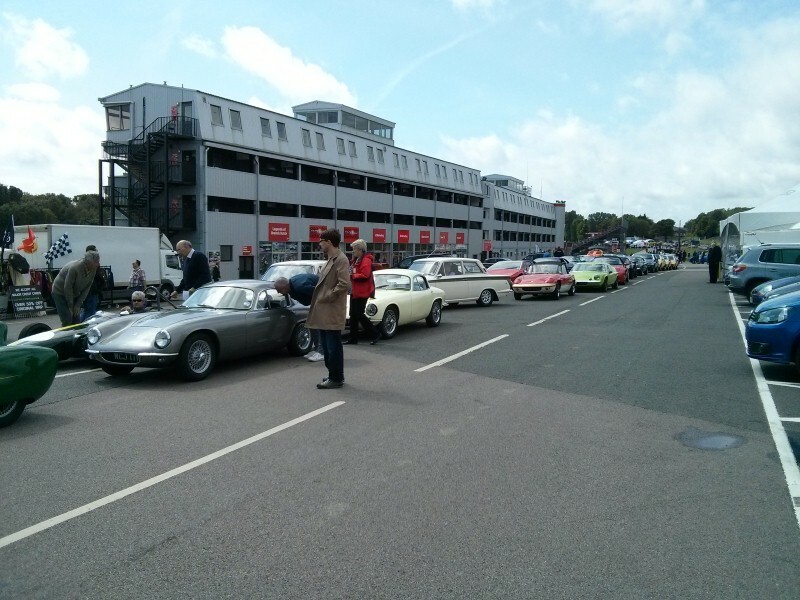 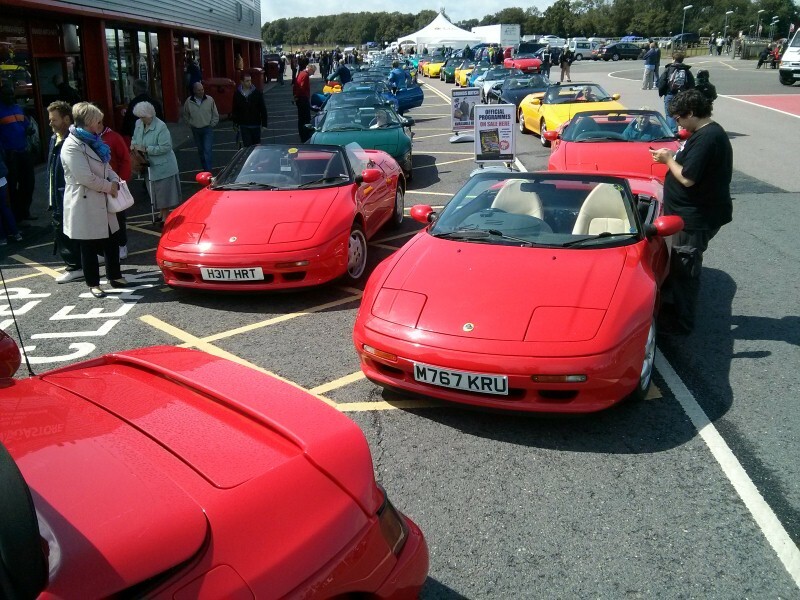 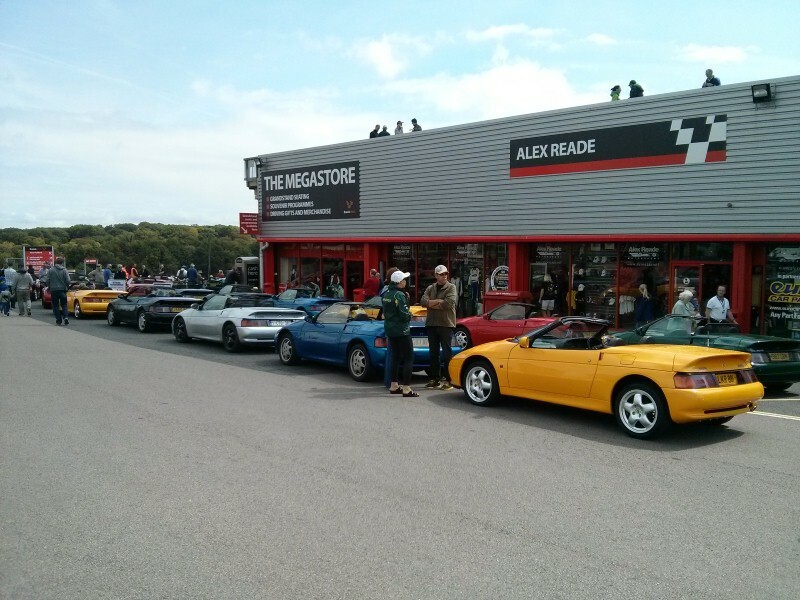 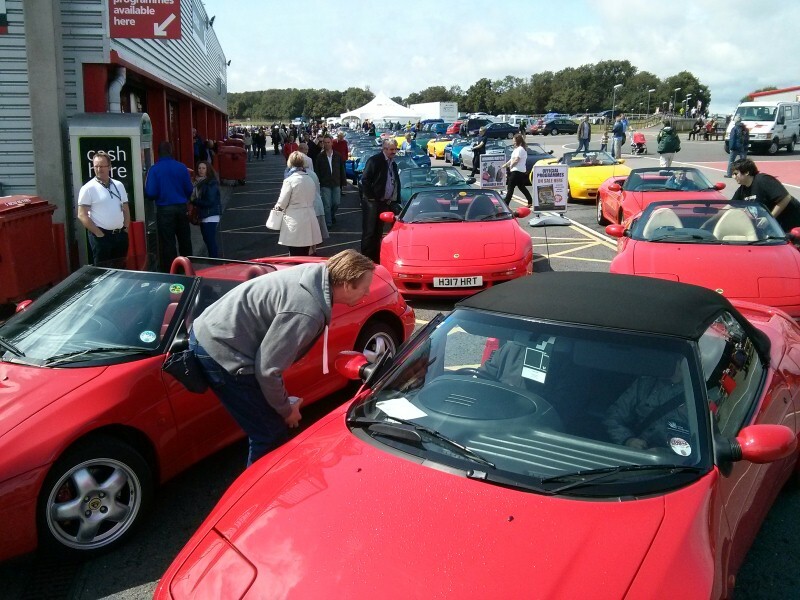 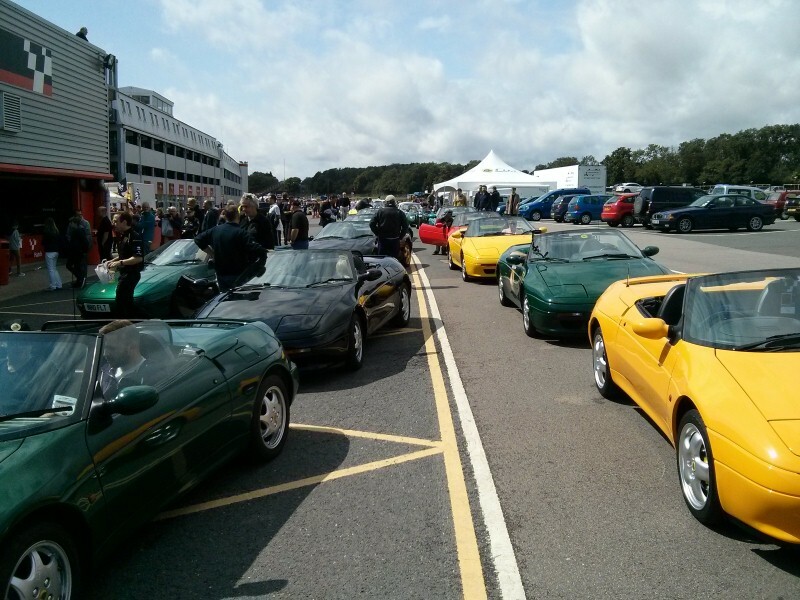 Here are a few photos taken during the parade lap with fellow members of Lotus Elan Central. 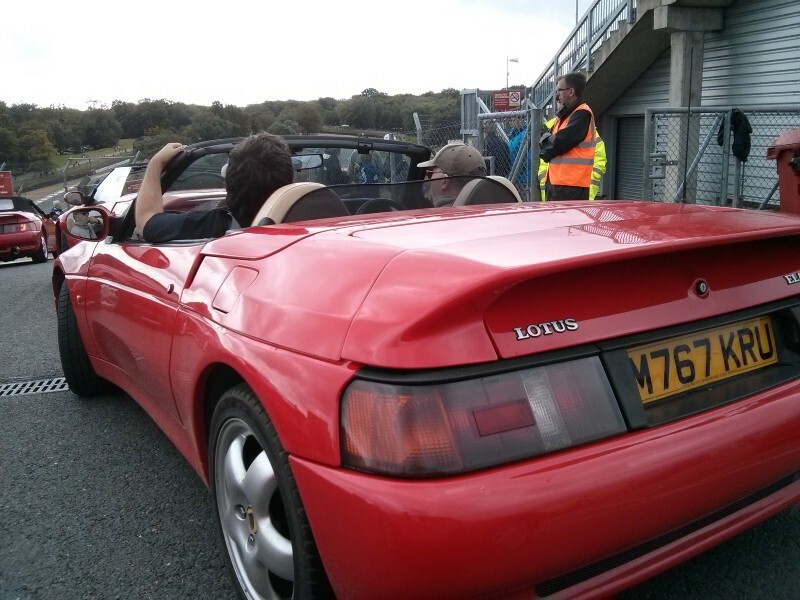 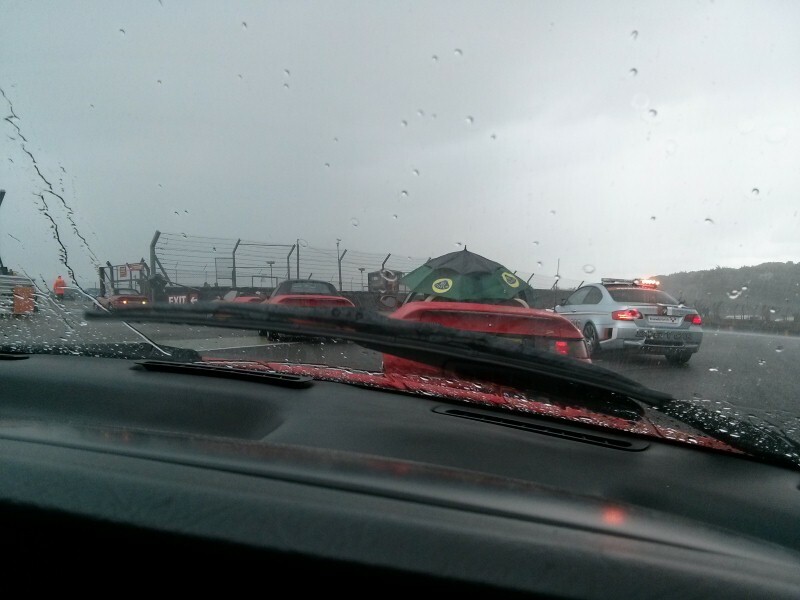 This was a 25th anniversary of the M100 model, so we went out on track first and were treated to a quick shower of rain… Geoff Smith was the one with the ‘Nah, it won’t rain’ comment, only to be seen half way round sporting the Lotus umbrella in the last photo. 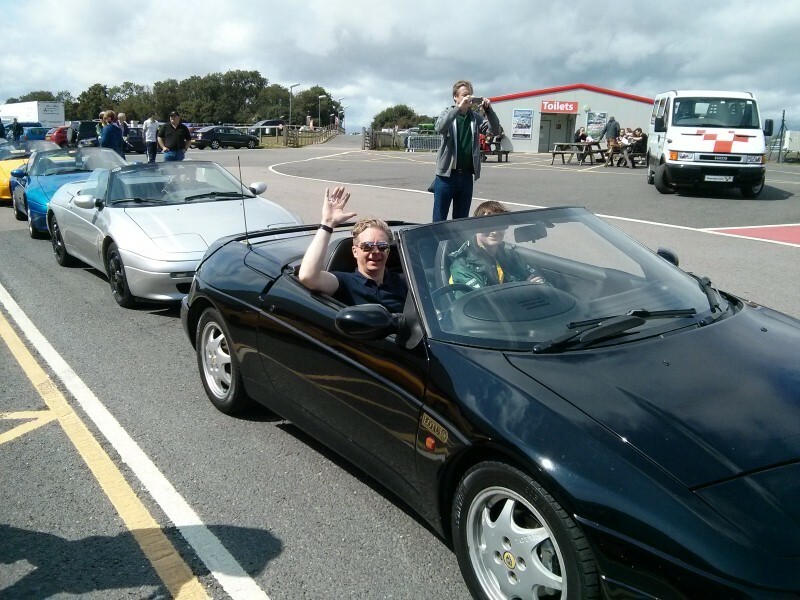 My car, should you spot it, was registered AHJ920G (previously G33REG until the number was retained by the previous owner).